The annual TCM Remembers video has been released, a montage of stills and clips of film professionals who passed away over the last 12 months. The death of actor Robert Culp was the big one for me this year, someone I’ve admired for the last 30 years in one way or another. I started out as a fan of the knockabout humour of The Greatest American Hero in 1982 before going on to recognise his more nuanced performances in films such as Hickey & Boggs and Hannie Caulder. The death of Greatest American Hero creator Stephen J Cannell has meant it’s been a double blow this year for fans of that particular show. 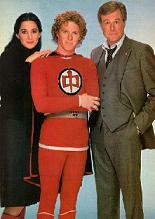 Hailing from a time when CGI was but a glint in a computer programmers green screen monitor and Superman had just done great guns at the box office, The Greatest American Hero was an attempt to revitalise superheroes for a 1980’s TV audience. On a budget. The series was following in the footsteps of other small screen superfolk: Wonder Woman had finished in 1979 and The Incredible Hulk was fast running out of pairs of new trousers at the time of GAH’s appearance in 1981. Creator/producer Stephen J Cannell’s (The A-Team, The Rockford Files) aim was to bring his own unique mix of humour and humanity to a new genre. Rockford Files fans were used to seeing Jim get beaten-up each week in the pursuit of justice and Cannell decided that in his new show it was the suit that had the powers, not the guy wearing it. You’ll believe a man can fly, but can he land in one piece…? All three seasons are now out on DVD. The Pilot introduces us to high school teacher Ralph Hinkley (William Katt) who, while taking his class on a field trip through the LA desert, teams up with world-weary FBI agent Bill Maxwell (Robert Culp) as they encounter a UFO whose inhabitants gift Ralph with a magic suit. The problems start when Ralph loses the suit’s instruction manual. Cue much crashing into walls, accidental invisibility and slightly ropey special effects. Season One introduces Ralph’s lawyer girlfriend Pam Davidson (Connie Sellecca) and his class of remedial class schoolkids. 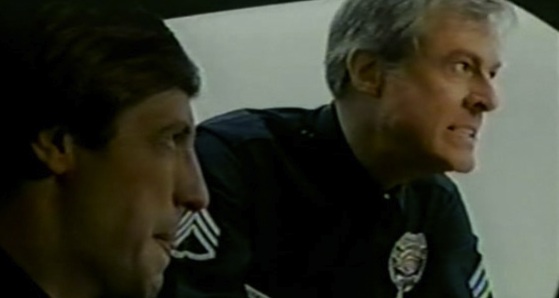 Thankfully most of the screen time is given over to the pairing of Katt and Culp, both perfect in their roles. Culp in particular is eminently watchable, with Maxwell’s Commie-bashing, post-Watergate attitude constantly at odds with Hinkley’s liberalism. Highlights of the season include My Heroes Have Always Been Cowboys, where Ralph, after a crisis of conscience, decides to give up “the jammies” (as Maxwell dubs the ridiculous red suit) for a quiet life. His meeting with TVs The Lone Ranger at a shopping mall makes him assess the concept of heroism and hero worship and makes interesting watching for all fanboys. Here’s Looking At You, Kid is another early classic, co-starring the original Mrs Robinson, Lost in Space’s June Lockhart as Pam’s mum. Season Two is more of the same, but bumped up to a full complement of 22 episodes. Here the series format is fine tuned, with the classic episode The Beast in Black an exercise in prime-time horror. Ralph is now less bumbling, the scriptwriters ramping up the danger, not only to our heroes, but to the World at large. Season Three would be a shorter season, and would be the end of the road for Hinkley and Maxwell. Only 56 episodes were made in total. Up till now GAH has been something of an unknown entity to UK viewers, and there is little chance that these boxsets will be released on Region 2. If you’re a fan of sci-fi-cop-show-comedy series, want to make your friends jealous down the pub as they react with “never heard of it” or just want to immerse yourself in some classic 80s telly, then this is the series for you. DVD Extras: Season One comes with just over an hour of new interviews with the cast. It’s also bundled with the unaired pilot for the proposed spin-off series, The Greatest American Heroine. It’s a curiosity, but doesn’t match the high standards of the original show. Season Two comes with an interview with composer Mike Post (the bloke who wrote the A-Team theme tune!) as well as, bizarrely, a Japanese language track on one episode. Why?